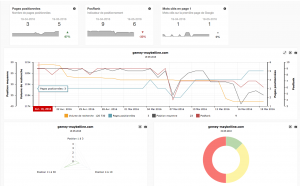 Myposeo is a tool for SEO tracking and analysis perfectly adapted to your brand monitoring and SEO & SEA strategy management issues. Follow the SEO of your blog, showcase site or local Google page at lower cost. Discover the keywords to use and detect your business competitors and engines.